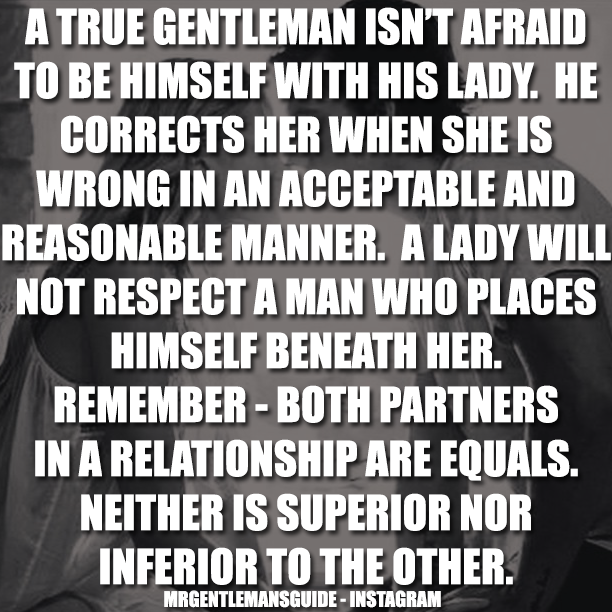 A true gentleman isn’t afraid to be himself with his lady. He corrects her when she is wrong in an acceptable and reasonable manner. A lady will not respect a man who places himself beneath her. 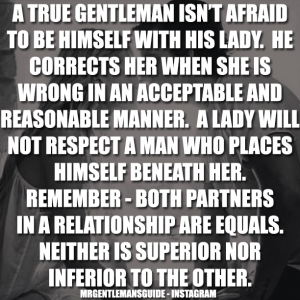 Remember – both partners in a relationship are equals. Neither is superior nor inferior to the other.